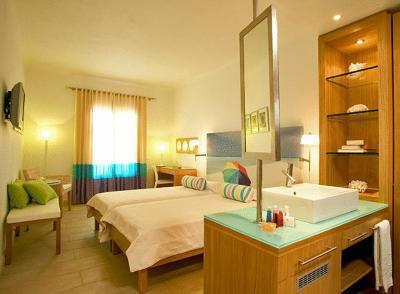 Lock in a great price for Petasos Beach Resort & Spa – rated 9.1 by recent guests! Our room with spa was great! We didn’t need to leave the room. Great view and room service. The property was very clean and nice looking. The staff was great. Very helpful and nice. The location is great if you want to go to the beach-there is a nice one right next door at Platis Gialys. Having the bus stop right outside the front door was also a plus. The pool was great-a really nice size and temperature. The breakfast was awesome. The property was in a great location and the staff was lovely. The transfer from the port to the hotel was easy and they were on time. The breakfast was good for being Included in the price, but wasn’t the best. However they had a variety. Would 100% recommend and would stay there again. Amazing property, amazing location. First class service and accommodations. Huge perk is that the bus that goes to main Mykonos town is directly outside the lobby. Recommending this place to everyone I know. The staff was very friendly and provided great service. The property was super clean and I loved the “all white” theme. The view was amazing, and the pool area and restaurants were setup nicely. Very good breakfast. 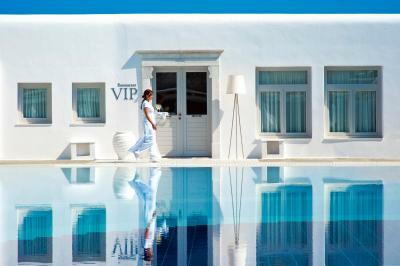 This was absolutely the highlight of our trip to Mykonos-this place was stunning-very well kept and very helpful and efficient staff. Right across the street from the bus stop to take you anywhere you want. Great food and cocktails by the gorgeous pool. Cute little (free) beach area and literally within steps of great restaurants and bars and a little convenience store. Would highly recommend!! Perfect location, staff and breakfast. I cannot wait to return st some point. The staff was extremely helpful throughout my stay. Location is great. 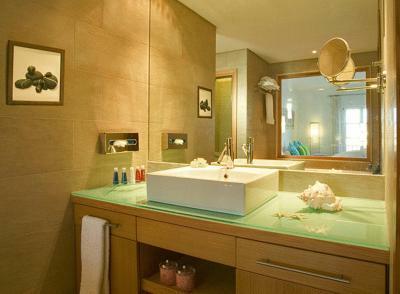 Petasos Beach Resort & Spa This rating is a reflection of how the property compares to the industry standard when it comes to price, facilities and services available. It's based on a self-evaluation by the property. Use this rating to help choose your stay! 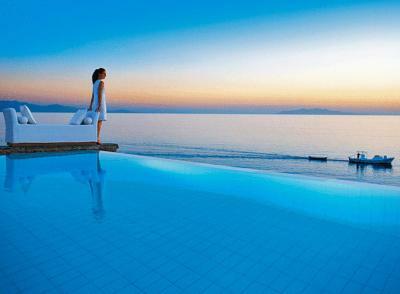 Petasos Beach stands on a private peninsula between Platis Yialos and Psarou Beach. 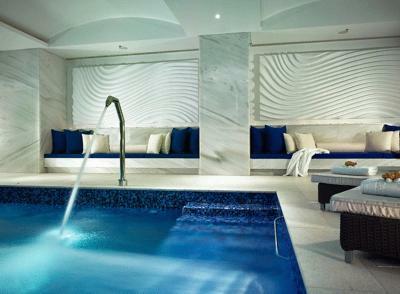 It offers a 500 square-yard spa & wellness center, a fitness center and a 2-level swimming pool with waterfall. 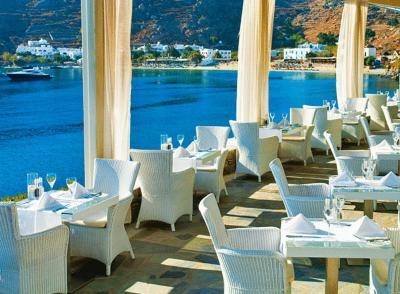 There are 2 restaurants within the premises of the Resort, with a great view of the Aegean sea. 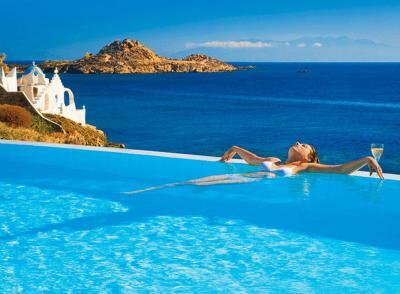 This property also has one of the top-rated locations in Platis Gialos! Guests are happier about it compared to other properties in the area. 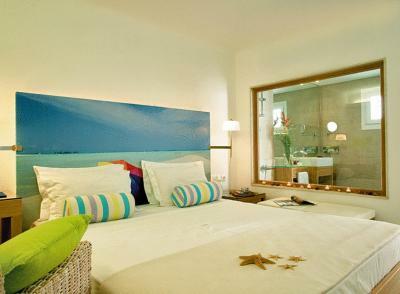 When would you like to stay at Petasos Beach Resort & Spa? Boasting sea views from its balcony or terrace, this room offers amenities such as individually controlled A/C, color cable satellite TV, refrigerator and safe. 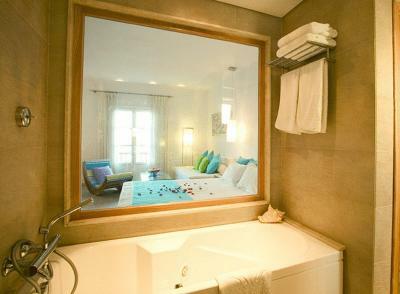 The spacious superior room features luxurious bathroom with spa tub and steam cabin. The balcony has splendid sea view. 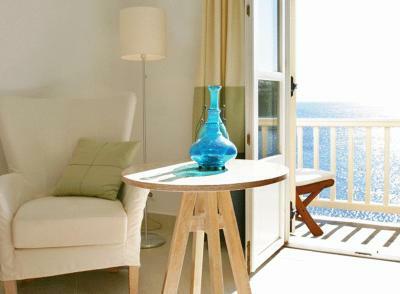 Air-conditioned room with a satellite TV, mini fridge, safety box, mini-bar and private balcony or terrace overlooking the sea. 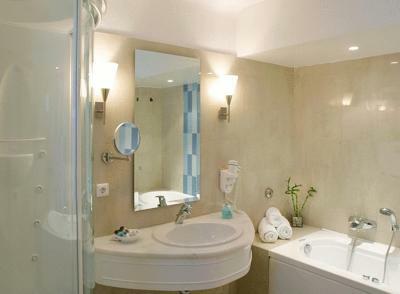 Brand new, luxurious rooms with fine furniture, luxurious bathroom with spa tub and steam cabin. The balcony offers waterfront view. 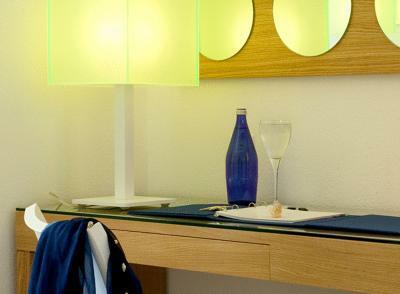 Elegantly furnished room with a satellite/cable TV, air conditioning, minibar and private balcony with view of the grounds. 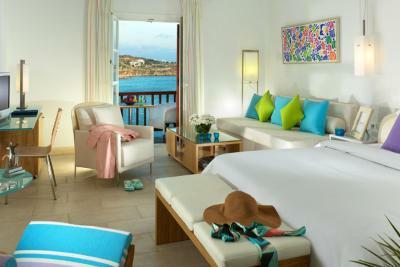 Elegantly decorated, this room features a rooftop terrace with outdoor hot tub, 2 sun beds, sofa, table, and umbrella. 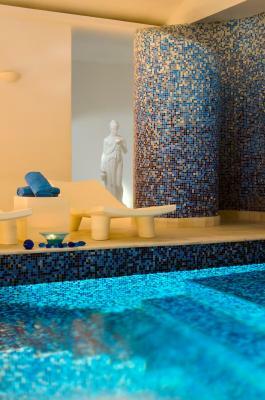 It offers views of the garden from the balcony, and views of the sea from the terrace. This suite features a balcony, CD player and DVD player. 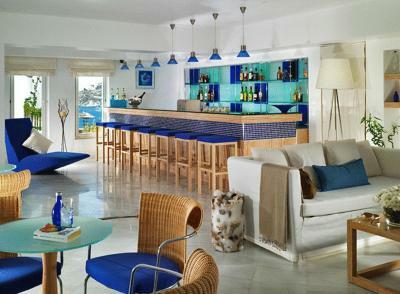 House Rules Petasos Beach Resort & Spa takes special requests – add in the next step! 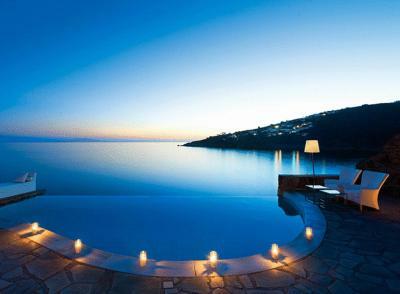 Petasos Beach Resort &amp; Spa accepts these cards and reserves the right to temporarily hold an amount prior to arrival. Petasos Beach Resort & Spa accepts these cards and reserves the right to temporarily hold an amount prior to arrival. Kindly note that the full amount of the reservation will be charged 10 days prior to arrival to the credit card. The credit card holder should present the credit card the reservation was made upon check in and check out as well as his passport or ID. A payment through a credit card cannot be accepted if the card holder will not visit the property. 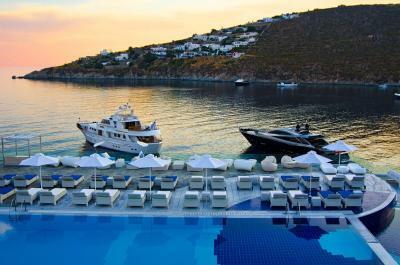 It was very expensive, but it is a one-of-a-kind resort, and all of Mykonos is expensive. Spectacular location. Design of the public areas and furniture was fascinating, modern, and yet very comfortable. At times I felt like I was in a movie! It was a very relaxing and beautiful spot to spend a couple days. The first day, a male employee walked into our locked room and said that he thought that we drank one of the water bottles in the bar and he needed to check it. It was weird, but he left right away. Petasos was the most beautiful resort and location that we have ever stayed at. Loved it! Very luxurious. The room was quite small considering the costs. They locked us out of the room early even though we had a late checkout and didn’t apologise. Charged us extra on the mini bar for water and could have been more helpful. It was in a good location and had great facilities. The breakfast was good and the wait staff were friendly. 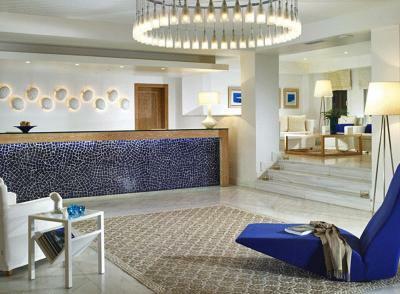 Excellent location , great service , loved the pool area and the beach . Didn't get recognised as return guests - not a problem, but most places we visit greet us with knowledge of our previous stay. If this is their only fault, it really isn't an issue to consider. Second year at Petasos - cannot fault it's location and the staff are wonderful as they were before. 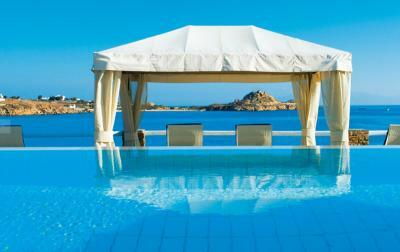 Request pool view room to get amazing sea view rooms. Not much privacy on balconies but most are quick access from pool area. Food at hotel is amazing. Car hire place two minutes up the road. Beach and restaurants one minute from hotel. 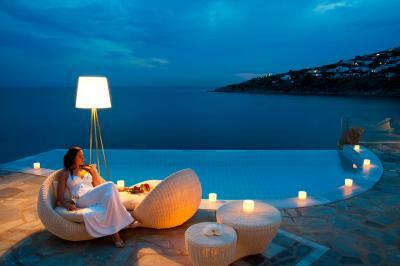 Bus stop to Mykonos Town is right outside your door step. Decent take away pizza directly opposite. And five minute drive from Nammos (or a hot day time walk) and same to Skorpios. The woman who I believe manages the hotel check in was very rude. I inquired about getting a private boat and rates and she just answered her cell phone and started talking to someone else. We had a standard room and it was nice but very small. as we booked last minute and had no other choice I want complain about this but next time I would choose for a higher level of room as they are much nicer with nice views. The staff were extremely friendly and helpful. 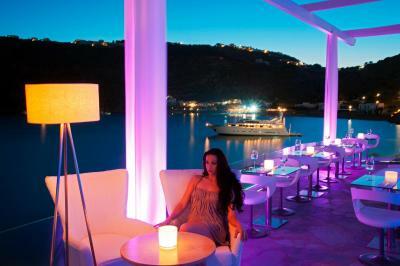 The location is excellent to go too several of the islands top beach clubs within walking distance. The breakfast was very good and tasty. The nieuws and especially the small private beach area are wonderful. Our room had access to a private jacuzzi and balcony, it was very nice! Definitely worth every $ spent for the amazing view we had. Breakfast buffet exceeded our expectations and was delicious! The rooms are ugly and claustrophobic ! The gym is not even placed in a nice beach location! The breakfast was awful and hardly had any options to choose from! The beach is not even a beach as it said on your website ! The ropes from the boats are all over the place infront of the beach so you can’t even swim! Misleading , to say there’s a private beach when there is not! 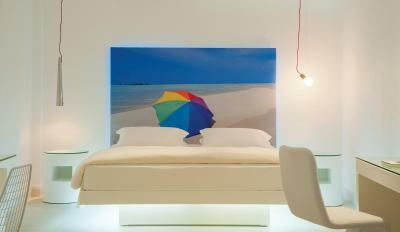 8000 dirhams for this I don’t think so ! Very unprofessional when I told her this wasn’t the room I chose on booking! When I threatened to call booking she changed my room but still hated it . I chose a superior room she put me in something else at first. The bathroom is another story , you can barely move cuz the bathtub is so tight ! 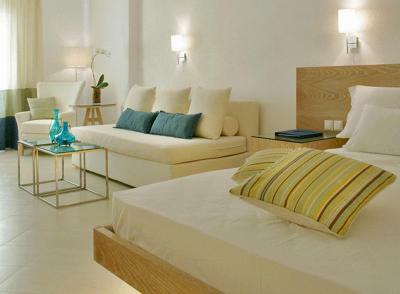 This is not a Small Luxury Hotels standard and they should not mislead people like this! They market themselves as having a private beach but it really isn't a beach. It is more like a rock with sand on top and a few chairs. There is a lovely beach a 2 minute walk away and they should focus more on that as the best beach-it would be more honest. The chairs at the so called beach and pool were awful. They weren't adjustable at all and all you could do was lay at some weird angle. It also seemed that housekeeping came at weird hours.